The world’s coolest pet gear! For more information on ROGZ Academy Books & Beyond, click below to follow on our Blog. Note that Books & Beyond programme forms part of the ROGZ Academy, a registered Not for Profit Organisation (NPO:176-493). For more info on the activities click below. 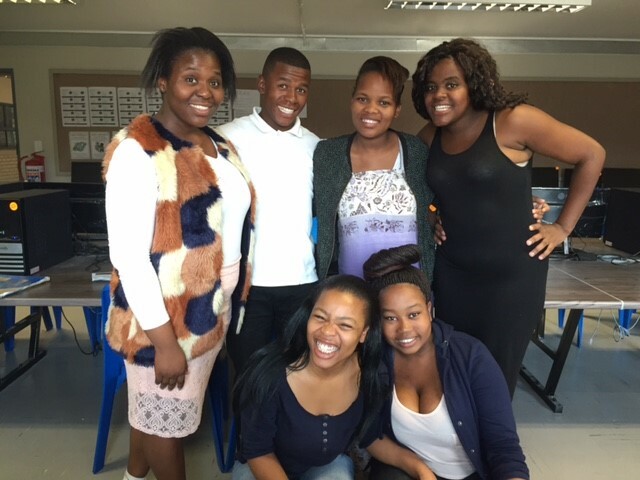 The English literacy programme has been running since April 2015. After some research, we found a partner in Shine Literacy, who offered us advice and support in starting our own programme. We began with a 3-month pilot and we completed our first year in June 2016. We are always looking for more volunteers so that we can continue to grow. We work with Grade 2 and 3 learners two mornings a week for an hour at a time and we follow a formal methodology, which includes reading, writing and literacy games. Our aim is to provide individual attention to learners and assist them in becoming confident readers, comprehending what they read. They stay on the programme for one year and learners previously on the programme have seen a 10% to 18% improvement in their English. After learners have completed their year’s programme with us, we have a graduation ceremony for them. Teachers, parents, volunteers, learners and representatives of the WCED all attend this very special occasion. Each of the learners is awarded a book prize and a certificate from their volunteer. The learners and volunteers love their sessions and we receive a heartwarming welcome from the learners each week. We have also had positive feedback from the teachers about the difference that the programme makes to the learners’ confidence in the classroom. We rely heavily on our volunteers for this programme and they are a remarkable, diverse group of people. There is also a strong face-to-face literacy focus in the Year Beyond Programme, which is run after school by our five young volunteers. This programme also uses Shine as the face-to-face formal methodology. Sophakama’s computer laboratory now has 40 working computers with headphones. This has enabled us to offer Click "reading eggs" an online literacy programme to all the Grade R, Grade 1 and Grade 2 classes. The learners love the programme! They come to the computer laboratory twice a week for half-an-hour sessions. Click is an interactive online reading programme, where students listen, click and learn English in a fun and easy way and is sponsored by the Click Foundation. We are thrilled that this initiative has come to fruition and we hope to reap the benefits when our learners have to change their Language of Learning and Teaching to English in Grade 4. This programme is designed to promote a culture of reading in isiXhosa and English for fun. We make use of the library resources. All our book donations have come from our partners and the general public. We were fortunate enough to be introduced to the Nal’ibali campaign early on in our search for other reading resources. We launched Nal’ibali at the school for the first time in March 2015 to celebrate the Nal’ibali World Read Aloud Day. It was inspiring to watch the whole school participate! Nal’iBali is an excellent resource for encouraging learners to read for fun in isiXhosa and English. Each of the newspaper supplements contains a Nal’ibali story written in both isiXhosa and English, as well as associated activities. Part of the supplement can be cut and folded to make a little book. The teachers use this as a resource in their classrooms and the stories have been enjoyed by both teachers and learners. 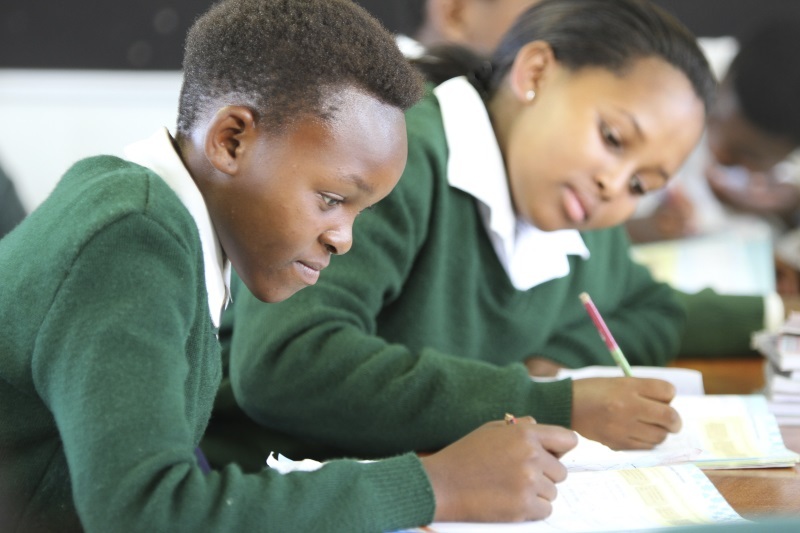 In September 2015, the Grade 6 and Grade 3 learners entered a Nal’ibali reading competition. We took a video of each learner either reading a story or poem. We were very proud of one of the Grade 3 learners, who was shortlisted. We decided to have a prize giving ceremony at the school, where all the learners received certificates and the first 3, a book prize. There are two after-school programmes that run concurrently with each other. The Year Beyond Programme, with an academic focus on literacy and numeracy and the MOD Centre, with a sports and arts and culture focus. The school was chosen to participate in the Year Beyond Programme by the Western Cape Premier’s Office in January 2016. We were allocated five young volunteers between the ages of 18–25 years. The programme provides literacy and numeracy teaching to 100 learners from Grades 1 to 4 after school, via e-learning and face-to-face teaching. Our academic partners on this programme for numeracy are Number Sense (face-to-face learning from workbooks) and Greenshoots (online learning) and for literacy are Shine Literacy (face-to-face learning following a formal methodology) and The Click Foundation (online literacy programme). The academic partners offer the learners and the young volunteers various means of support and advice. Our team, supported by the YeBo Facilitator, Bonke Qegu, manage the programme at the school, including the Friday afternoon clubs and societies. The volunteers also run a school holiday programme during the July holidays. These young volunteers are given the opportunity for self-development as part of this programme. As well as training from the academic partners to the programme, they receive support and training from AVA, an organisation that offers self-development to youth. The University of Stellenbosch also equips volunteers for leadership, in a leadership development programme. The volunteers have regular Social Innovation Challenges, where they compete against groups of volunteers from other schools and apply their youthful energy and inspiration to discussing South Africa’s education issues. Our team assists them in preparing them for these challenges, offering support, advice and presentation skills. 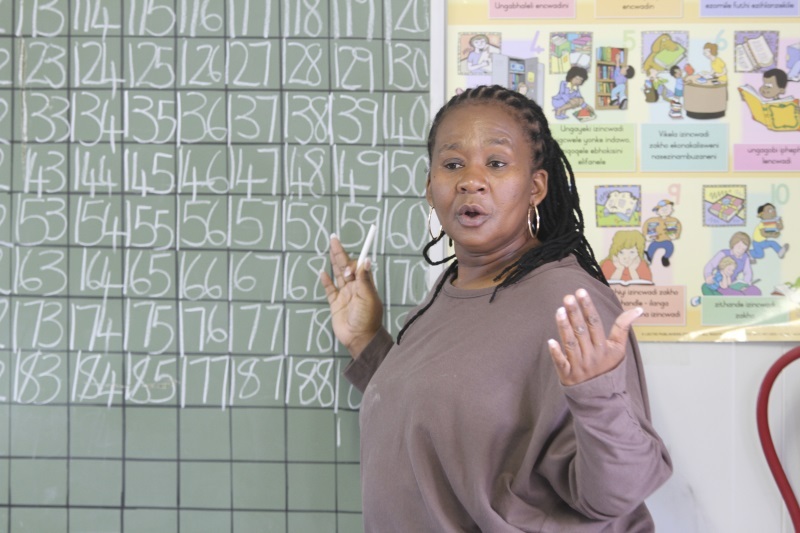 As many of the Grade 1 learners have not completed Grade R and/or enter Grade 1 without a proper foundation, from 2017 we have assisted Grade 1 teachers in offering the BrainBoosters catch-up programme as a classroom resource. The programme complements the CAPS curriculum and focuses on literacy and numeracy, bringing all Grade 1 learners up-to-speed on basic concepts so that everyone starts at the same level. This is one of the strategic objectives identified by the Principal and his team, as part of Teacher Support. We are aware that remedial intervention for many learners is a necessity, but it is unfortunately not always available. We would like to assist with and develop programmes for remedial intervention over time. To ensure that we implement the best programme(s) and use limited resources optimally, we would need to undertake further research. This is on our radar to be explored. Currently learners are taught in isiXhosa, their mother tongue, until Grade 3. In Grade 4, they change to English as the language of learning, resulting in learning difficulties across subjects from Grade 4 onwards. Our goal is to work closely with the teachers to ensure that learners are more literate in English by Grade 4, so they can be taught in English, without having to struggle with the language over and above the challenges of Grades 4–7. LOLT is a complex issue, requiring professional advice and expertise. Since 2015, various sessions have been held, organised and/or attended by our team to understand the LOLT debate and all the associated pros and cons. To this end, we attended a presentation by Margie Owen-Smith of the Home Language Project in October 2016. She is an experienced voice in the LOLT debate and offered some useful information and ideas on addressing how different languages (multi-lingualism) can be used in the classroom. The school introduced one Grade 1 class as a pilot, where English was used as the language of learning and teaching. It was not successful, and a deeper understanding and evaluation is required. In the meantime, we will continue to keep ourselves informed as much as possible and to stay abreast of how we can use current thinking to tackle the difficulties that arise from this issue at Sophakama. Simbulele Mgengo was born in 2002 in the Eastern Cape in the village of Mhlopekazi. True to Simbulele’s character, she embraced what life brought her way and made the most of every opportunity. Unfortunately, the prospects for 2015 looked grim. Sadly, due to extreme financial challenges at home, it seemed impossible for Simbulele to go to High School. Fortunately, her English teacher, Mr Jacob Funyura, took Simbulele under his wing and made it his mission to find a solution. He approached the ROGZ Academy who, in turn, managed to secure financial support from the ROGZ distributor in Belgium, Benelux NV, which ultimately lead to the first scholarship offered by the ROGZ Academy. The scholarship enabled Simbulele to apply for entrance at a school outside Dunoon Township, which is providing her with an opportunity to expand her horizons. This gave her the opportunity to finish her Grade 8 year. Rogz Academy then decided to carry on supporting Simbulele. We cover all her school fees and extra mural activities, as well as pocket money. Currently Simbulele is in 8th position in Grade 11 as a TOP 10 ACHIEVER. 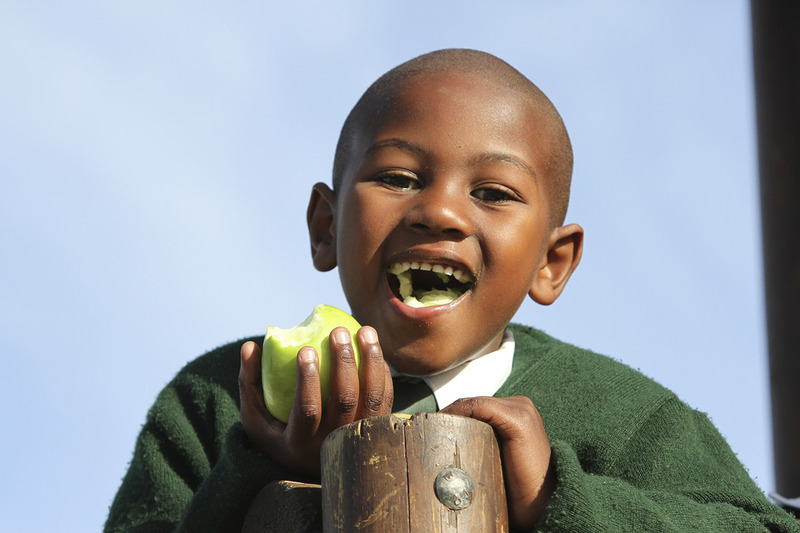 Simbulele aspires to become a Chartered Accountant. We have provided support to the librarian, Noxy Mdini, who has done an amazing job in getting the library operational. The school’s books and library resources were in storage for about two years, while the new school building was being completed. 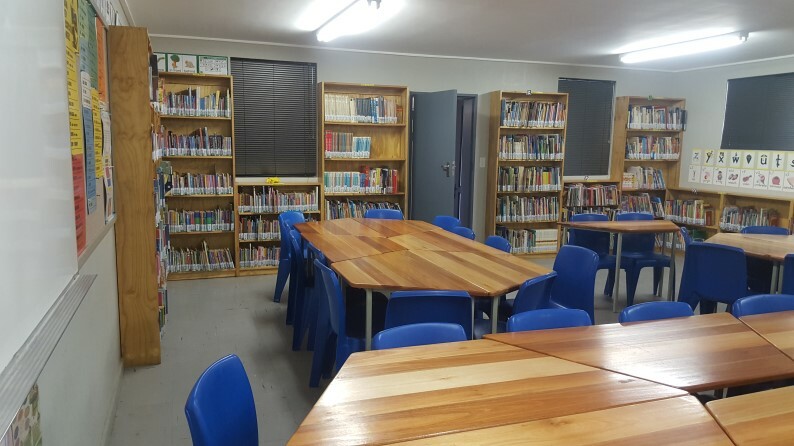 The school’s new awesome library is providing wonderful opportunities for the learners. We researched ways in which we could use the library space as optimally as possible and made contact with The Bookery. They sponsored a library assistant, who assisted Noxy in her duties. We have also had help, support and advice from Table View Library and Edgemead Primary School Library. Every year, Table View Library runs a reading competition at the school and sponsors prizes for the best readers in Xhosa and English. Edgemead Primary School Library has donated much-needed resources to our morning English Literacy Programme. Book collections have become an important part of accessing reading resources for the school. Relevant books are always needed for the library and for our morning English literacy programme. Fortunately, we have had huge support with book collections from Elkanah House teachers and parents, but accessing books remains a constant work in progress. 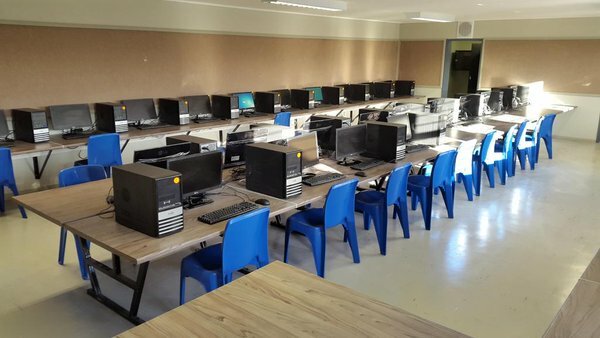 We assisted with getting the computer lab operational, with internet connectivity and an IT resource. We continue to provide support to ensure this runs smoothly. The computer lab is a critical resource in promoting online learning for the whole school. The appointment of the Yebo Facilitator, ensures that the computer lab is consistently operational and connected, and that the IT infrastructure remains well-maintained. Rogz Academy have been actively involved with Sophakama to support them with real sustainable change in terms of IT and connectivity support, enabling them to have access to internet and emailing. This makes daily tasks for the Principal a little easier amongst other duties. We have also received numerous donations from suppliers such as NMC Construction, for four desktops and one Laptop. This has enabled Sabelo to return to his responsibilities as Principal without much delay. RJ45 has also been very generous in donating two colour printers to help the School with their daily admin printing requirements. School Safety is of paramount importance and we continue to work with the school to ensure a safe, secure environment. We believe that including parents and the local Dunoon community in learners’ lives and activities is integral to the success of the school and its learners, most of whom live in Dunoon. We are continually thinking of ways to include parents in our plans and programmes. The learners who graduated from our English literacy programme in June 2016 were well-supported by their families, who were invited to attend. They enjoyed having their parents or grandparents there. Shine Literacy ran a Parents Literacy Day in September 2016 for the Grade 1 parents, the parents of the learners on the morning English literacy programme and the parents of the Year Beyond Programme’s learners. Parents are given basic skills and resources to help them support their child’s learning at home. They were also given take-home packs to assist them. About 100 parents attended, a great turn-out! We saw this as a positive sign that parents are keen to be involved in their children’s learning. Our Year Beyond Programme prize-giving was also well-attended by parents, who joined their children on stage when they collected their special awards. We hope that this is the start of more parental involvement to come! We also source youth volunteers for Year Beyond Programmes, from Dunoon and other local communities. As an inspiration from our Rogz Farm we have an ongoing programme at Sophakama where we support the school in growing their own vegetable garden. 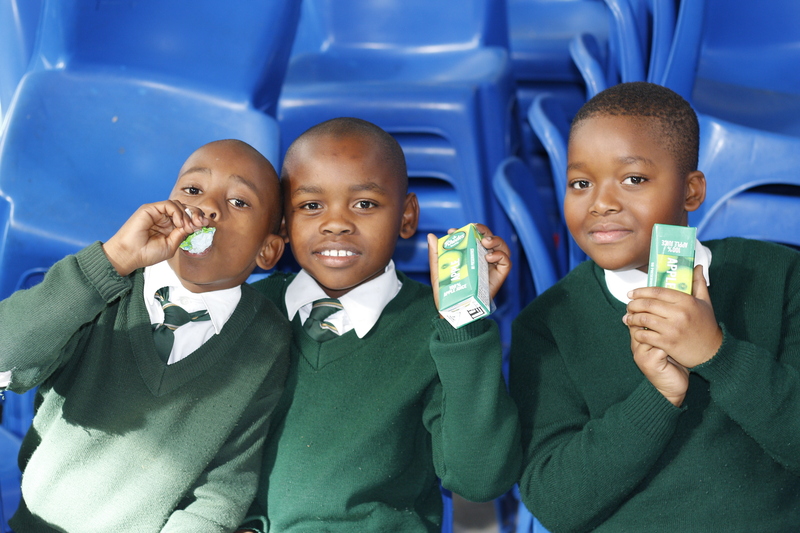 This contributes to their feeding programme which aids in giving food to 1 515 students daily. On occasion we supply wholesome soup to the learners from our Rogz Farm. We have also connected with Mothers That Care, who provide sandwiches on a weekly basis. We ensure that these programmes run smoothly and regularly. Rogz has an ongoing relationship with our customers and are fortunate that they have invested so much enthusiasm in joining us on our journey at Sophakama. Eyal Mirelman and the team from Medioni in Israel have supported the ROGZ Academy, and have contributed towards the Sophakama vegetable garden, coaching the Sophakama team on how to utilise all available spaces and turn vertical areas into green garden areas using his grow bags. The school is a designated MOD Centre, which refers to a space where learners can play games after school in a safe and secure environment. The focus is on sport and arts and culture and games are played in the school hall or outdoors. This programme is run by Eljoeh Mbali. Learners from Grade R to Grade 7 attend activities after school until 17h00, Monday to Friday. The team will be working towards integrating the MOD Centre with the Year Beyond Programme and growing it over time. As one of Sophakama’s strategic objectives, arts and culture is an important focus at the school. Although not part of the academic school requirements, the inclusion of arts and culture in the daily life of the learners brings joy and fun to their school experience. Sophakama now has a well-established choir who perform regularly both at the school and at other events. They even appeared on eTV! Listening to the learners’ voices and watching them sing and dance so passionately, illustrates the value of developing the cultural side of the school. The generous donation of a piano to the school was another exciting opportunity for the choir to showcase themselves and will enhance the overall music experience for all the learners. Art has also been given more priority. 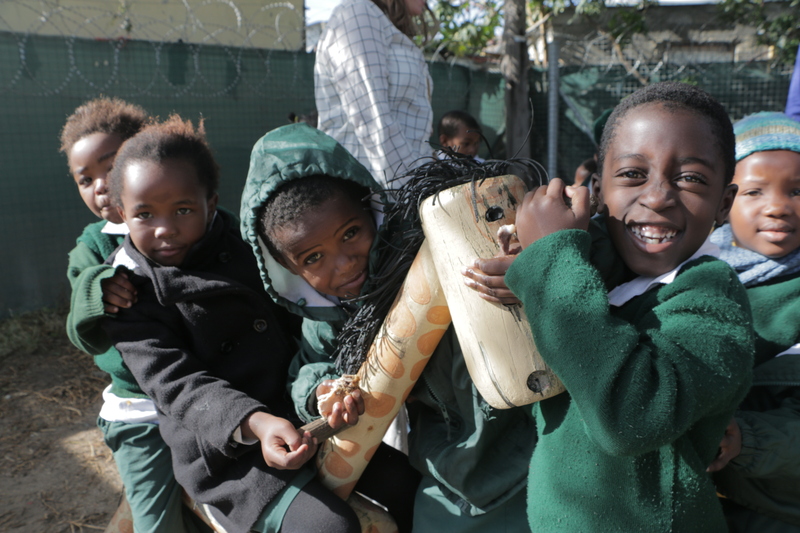 There have been a few visits by the Grade 4–6 learners to our partner, Elkanah House. Learners have participated in art classes, together with Elkanah House learners, during their end-of-term Clubs and Societies days. Both sets of learners enjoy the opportunity to interact and be creative. The Cape Craft and Design Institute ran a pilot art programme at the school, as part of the Year Beyond programme in 2017 for Grade 1 to 4. The learners loved the art activities and had fun drawing and creating projects with clay and paper. We will continue to look for opportunities to develop both arts and culture at the school. ROGZ American customers have also been actively involved. They came to visit Sophakama and donated funds to the choir to buy new school shoes. Buccaneers came to our aid and assisted with the delivery of shoes. 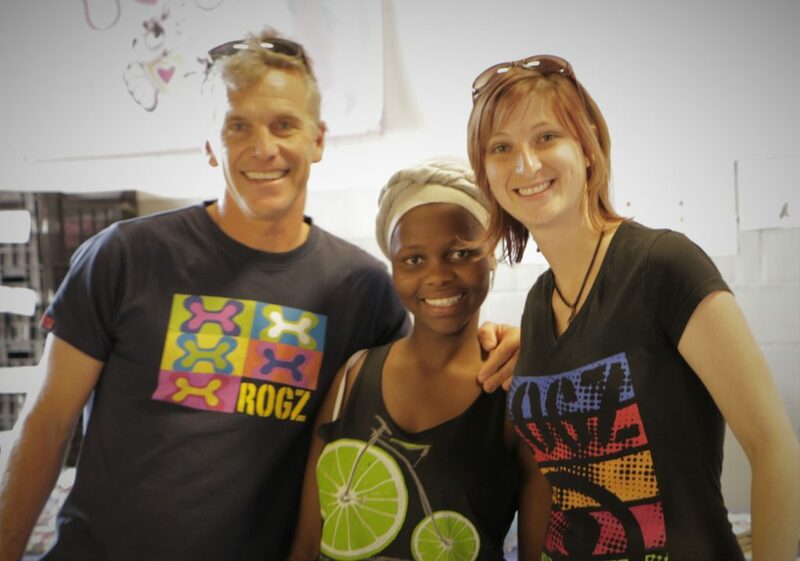 At Rogz we embrace every possible opportunity to increase learner support, boost morale and deliver hope. We have been involved with celebrating the spirit of Christmas with all the children of Sophakama Primary School. 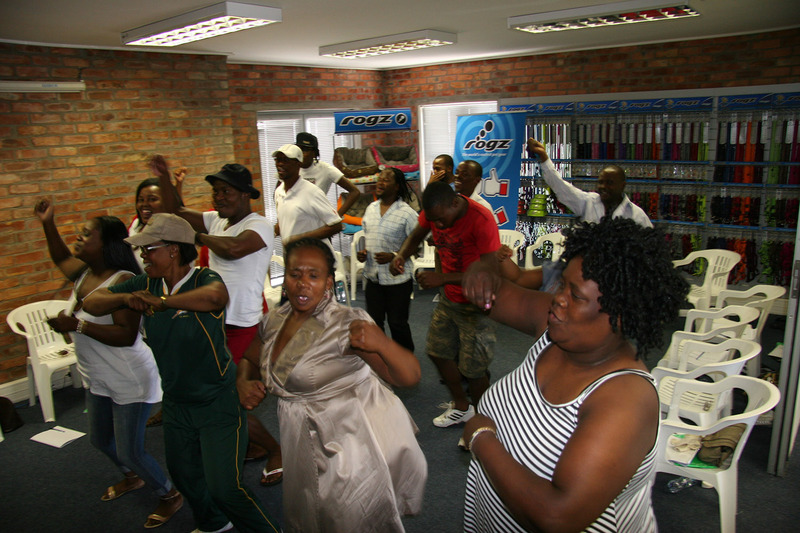 Virgin Active spent a whole day teaching the learners how to be active and giving them fun activities to do. With generous amounts of support Rogz Academy were able to assist in upgrading the School playground, giving the Grade R group a Jungle gym and Trampoline for learners to play on. It’s a small contribution, but a big joy to the children. Our Rogz children donated toys to the Grade R’s. Rogz has an ongoing relationship with our customers and are fortunate that they have invested so much enthusiasm in joining us on the journey at Sophakama. 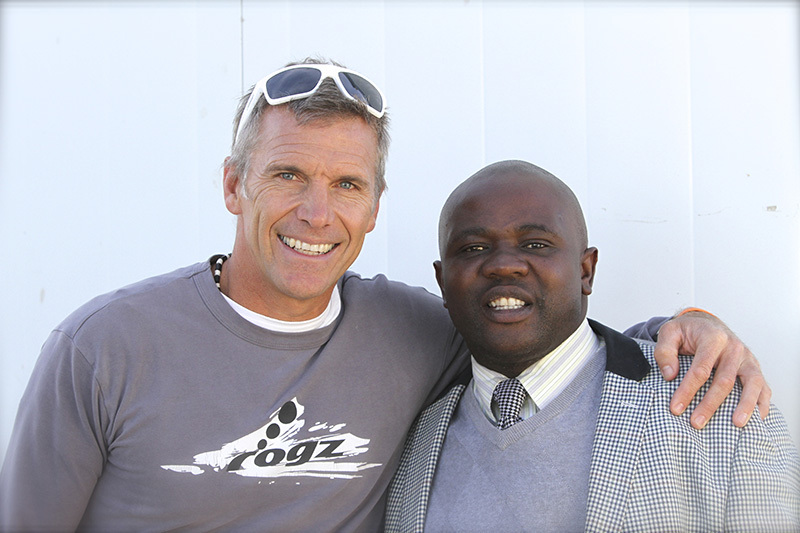 The “Ed” in ForEd is Sabelo Makubalo, the principal of Sophakama Primary School in Dunoon. The trajectories of his 1 600 students’ lives are infinitely affected by his ability to run his school effectively but the reality is that his school is desperately under-resourced. Fortunately, through the Partners for Possibility (PFP) programme, he has been partnered with ROGZ and together with Captain Chaos and his ROGZ Academy team, there is a new future alive with possibility. 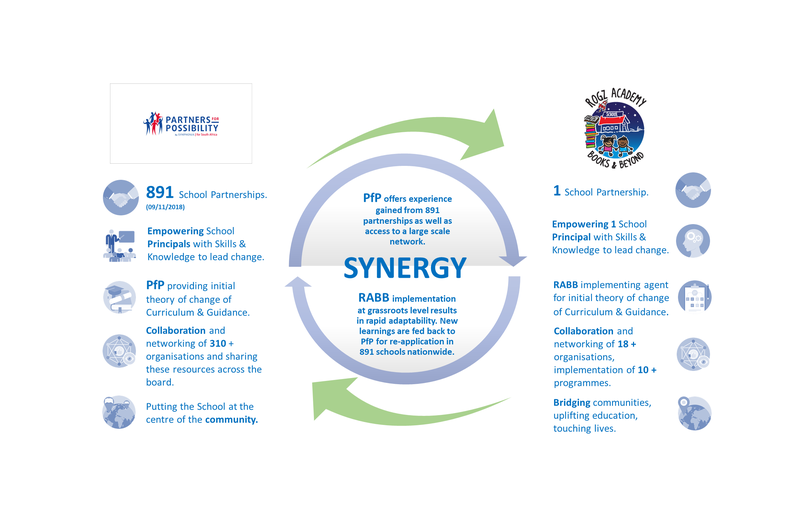 There are also currently another 193 Eds, representing 463 other schools and approximately 190 000 children that are benefiting through PfP partnerships with businesses. Sadly, there is also a long queue of more Eds with students desperate to enjoy similar benefits. Captain Chaos has a passion to make a difference in education in South Africa, and decided to combine his business acumen and his love of the outdoors and adrenalin activities to start campaigning. And so the Cape Big 5 Challenge evolved which includes: the Puffer - an 80 km extreme trail run from Cape Point to the Waterfront over Table Mountain which Captain Chaos completed last year; a 7 km Robben Island to Bloubergstrand Ocean swim with friends which he has completed; the 225 km Wine to Whales mountain bike challenge over the Hottentots Holland mountains; a 30 km Stand Up Paddle Board race around Cape Point, and a long distance 160 km Kitesurfing challenge from Sunset Beach to Langebaan Lagoon, linking two of the world’s most renowned kiting destinations. Our team launched a new fundraising campaign – the Be Real campaign – in October 2016. Starting with our own networks, we are hoping to spread the word about the work that we are doing at Sophakama, as well as our plans for the future. We previously managed with the help of volunteers and donations, but the need to reach all the learners in the school has become a burning issue for us. We believe that the way to do this is to continue to make progress with management and teacher support and to focus on the challenges that may be inhibiting the school’s success. To move forward with these plans, we need others to join as financial partners. 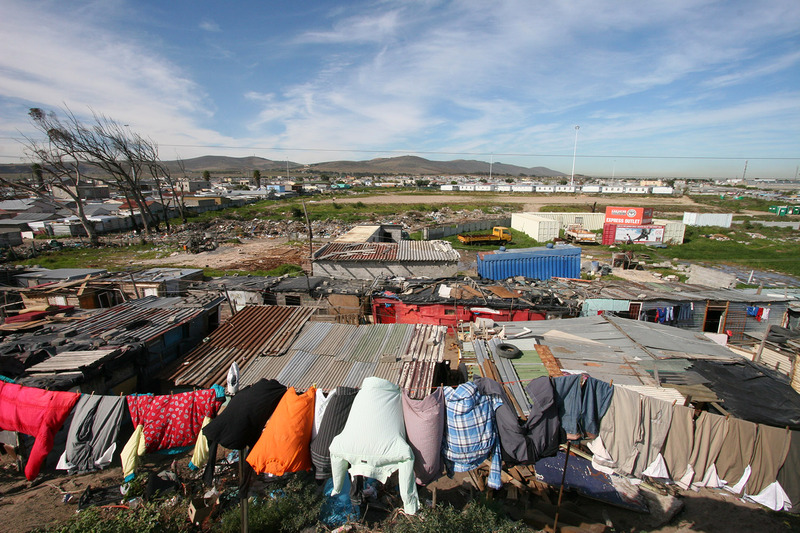 We would like to turn Sophakama into one of the Western Cape’s leading schools and make a real, sustainable difference! Create REAL SUSTAINABILITY. Make a REAL DIFFERENCE. Please consider partnering with us by becoming a contributor so that, together, we can build towards REAL SUSTAINABLE CHANGE. Click below. This year, our NPO became a fully-fledged member of the MySchool network. We hope that our support base continues to grow from strength to strength. We have also been fortunate to have received donations from a few corporate donors and are very grateful for their involvement in our project. Our largest donor is Eskom, whose generosity has meant that Sophakama Primary School received a recently installed generator; art supplies; more Brainbooster kits for Grade 1s and most importantly, three years of funding ahead for the School Management, Curriculum and Teacher Support Programme. Investec has also donated towards our project this year. We were also very excited to receive the Community Chest Due Diligence Certificate. This is confirmation that our NPO documentation and credentials are in place. All the teaching staff have begun a very exciting programme, with the support of our team, partnering with Quantum Growth. Quantum Growth assists people in developing self-knowledge, creating effective, healthy relationships and thereby cultivating leadership. The tool used is Lumina Learning – each individual completes an online questionnaire, which is used as a means to understand oneself and others. This is an opportunity for the School Management Team (SMT), teachers and administration staff to work through the personal and collective obstacles to a well-managed school environment and effective teaching in the classrooms. We are very passionate about this programme as it is our teachers who will ultimately improve the quality of education for all the learners of Sophakama (and of South Africa). 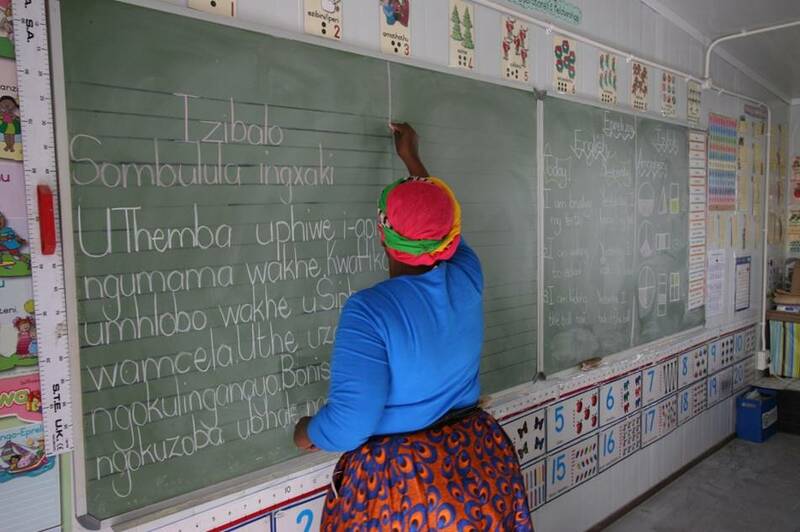 We began this process in November 2015 when Nal’ibali provided teacher training, covering ways to use stories, songs and dance in the classroom to supplement the curriculum and to motivate learners to read. The teachers enjoyed the training and there was lots of laughter and a willingness to learn new ideas. This inspired us to identify other areas where teachers can benefit from training and additional resources. We partnered with the Schools Development Unit (SDU) at the University of Cape Town (UCT) in 2018. They are able to offer expertise and well-founded research to our thinking about the implementation of this programme. The first steps of the process began at the school in July 2018. The SDU team conducted a ‘case study’ at the school (using observations/interviews/focus groups). They provided a written report, which detailed general information about the school, its strengths, challenges and recommendations (areas identified for support). Together with the Principal and the School Management Team, they will assist in determining the key development priorities and deciding on appropriate solutions. The SDU team were very excited and complimentary about how Sophakama embraced this opportunity and we look forward to the next stages of the programme, which could include: training workshops, short courses and classroom support to provide curriculum assistance and professional teacher development; teamwork and management support. 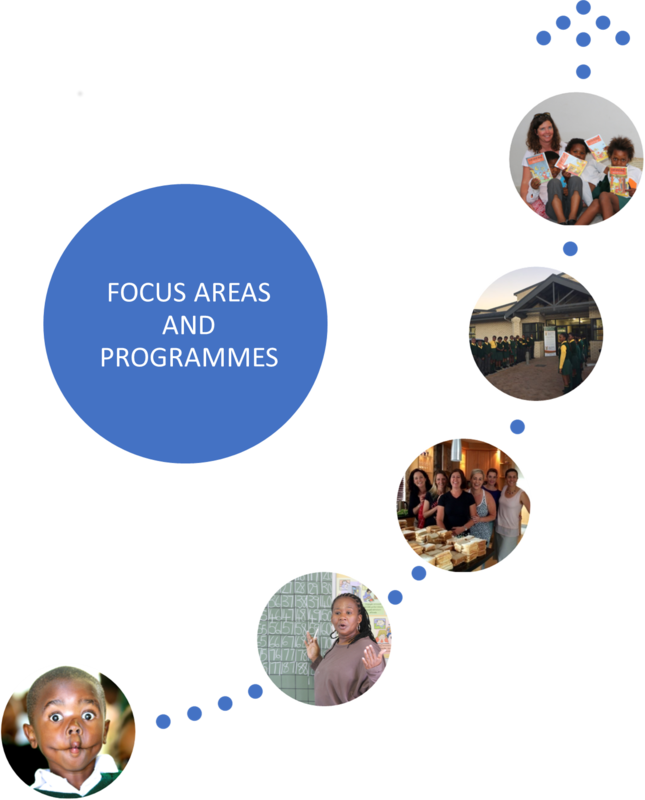 The Partners for Possibility Programme, the flagship programme of Symphonia for South Africa, has as their bold vision: Quality education for all children in South Africa by 2025 (i.e. significantly improved education outcomes by 2025). By partnering school principals with business citizens, they hope to promote social cohesion and empower principals to become change leaders in their schools and communities. This programme is the one that was the initial inspiration for the whole team and we believe it offers a creative solution to South Africa’s education crisis. Principals are partnered with business leaders who bring their knowledge and skills to the school. With the cooperation of both partners, a relationship of mutual learning and interactive sharing develops over time into one of trust and friendship. The PfP programme works to lead change, starting with promoting confidence and energy in the principal; an aligned School Management Team; an energised and engaged team of teachers; and an involved community of parents and other citizens around the school. We believe that our team is following an implementation process of the PfP programme at Sophakama that is realising these aspirations. Developing staff at Sophakama Primary School is one of our strategic focuses at RABB and introducing a Principal Mentorship Programme aligns with this. Irené Raubenheimer (ROGZ business owner and Sophakama’s original Partner from PfP) is the mentor to Sabelo Makubalo (Principal). They have already had a few sessions focusing on operational challenges. A more formal programme will be introduced in 2019 and we’re looking forward to how this progresses. Spar donation puts a smile on little faces! Holiday fun offered by Yebo Volunteers! Back to reading for our final term with this group of learners! New and improved Brainboosters embraced by Sophakama! Rogz © 2019. All Rights Reserved.